St. Mary’s Boys N.S. 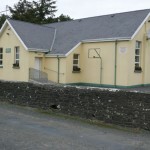 Coláiste íde agus Íosef Dromtrasna N.S. Knocknasna N.S. Meenkilly N.S. Scoil Mhathair Dé Girls N.S.